Obviously, it's not my daughter who is familiar with Alice in Wonderland- a 1950's Disney animated classic but I am. 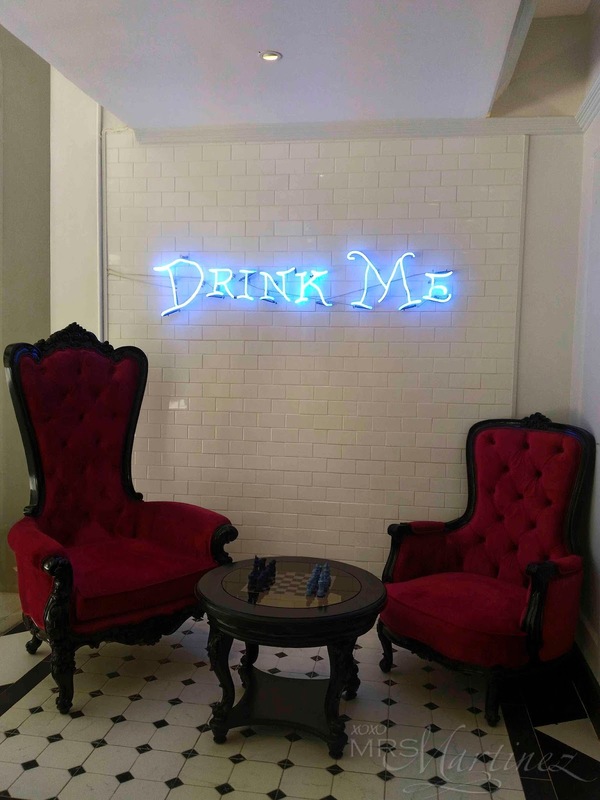 When I came across an Instagram entry about Alice Tea Salon, I was beyond thrilled. At last, a concept restaurant that is straight out of a fantasy movie! Cat: Then it doesn't matter which way you go. 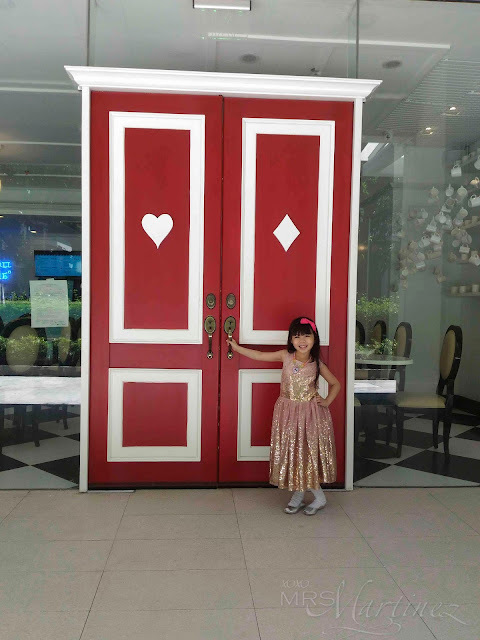 Since I am not really familiar with Ortigas area, I planned our visit during one of our family dates. When I told my daughter where we are going, she immediately changed into a sparkly dress. I am sure by now you have already seen this dress over and over at my social media accounts. It's one of her favorite dresses that's why. Lewis Caroll's beloved fantasy tale is brought to life in this Disney animated classic. When Alice, a restless young British girl, falls down a rabbit hole, she enters a magical world. There she encounters an odd assortment of characters, including grinning Cheshire Cat and the goofy Mad Hatter. When Alice ends up in the court of the tyrannical Queen of Hearts, she must stay on the ruler's good side or risk losing her head. Alice: I am afraid so. 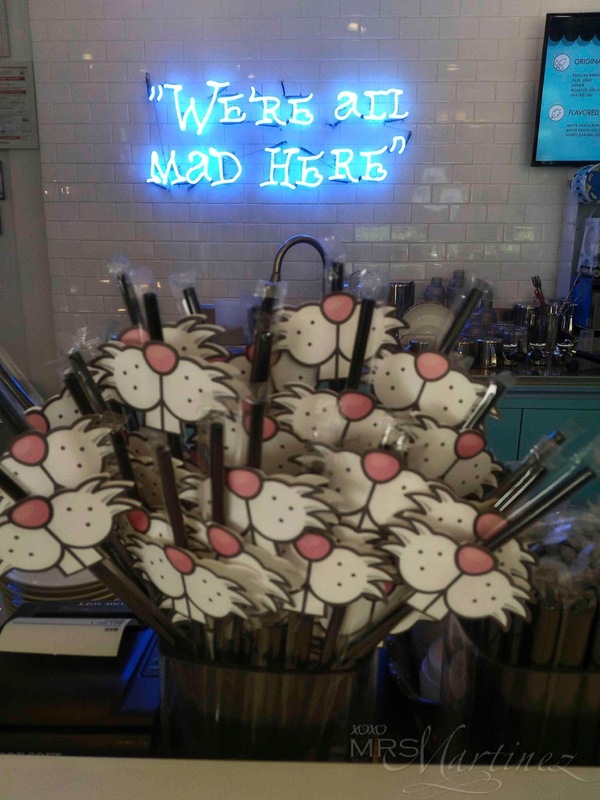 You are entirely bonkers. But I'll tell you a secret. All the best people are. 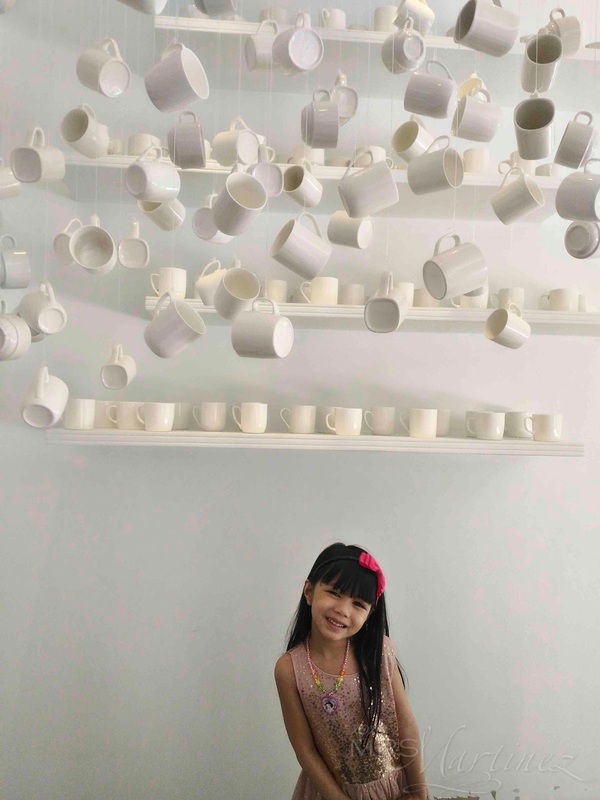 At Alice Tea Salon every nook is Instagrammable. That Sunday afternoon, we were lucky because we had the place all to ourselves. We were able to take plenty of photos without disturbing other diners/guests. It's a pay-as-you-go restaurant. After paying at the service counter, I wanted to settle here at this plush Victorian chairs but my daughter chose to sit on the couch instead. Wouldn't you choose this same spot as well? 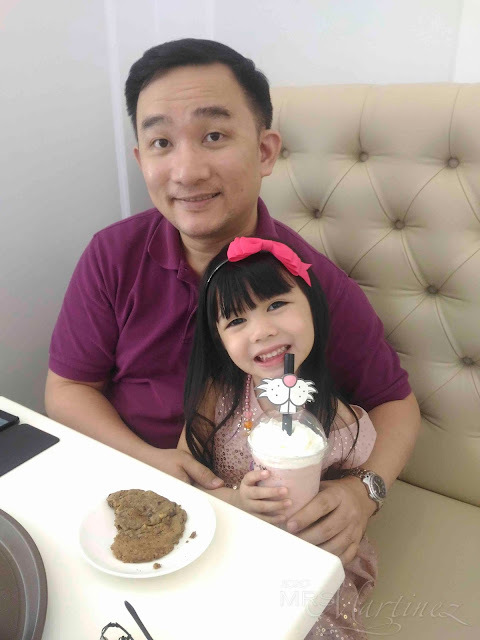 DH ordered one of the items under Original Tea (price ranging from Php 70-80) while my daughter and I shared a medium-size Strawberry Milkshake (Php 170). My little girl also had a cookie. The food selection was limited to cakes and cookies. The drink I had was too sweet. But the ambiance was great and the staff were pleasant. We went there on a weekend and we were lucky to find several vacant parking slots on our visit. 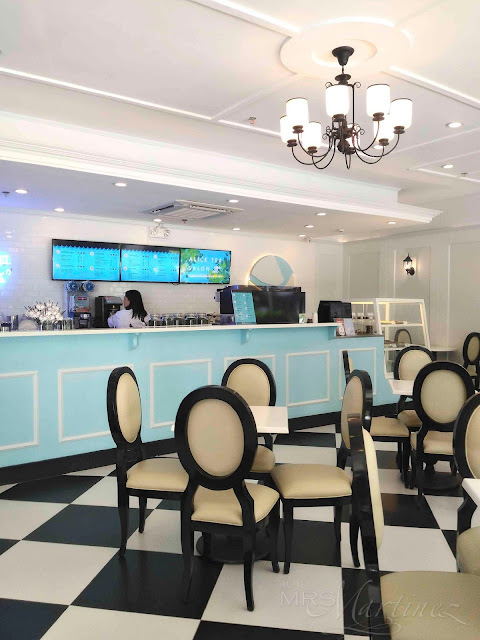 I hope Alice Tea Salon can add more items on the menu in the future.